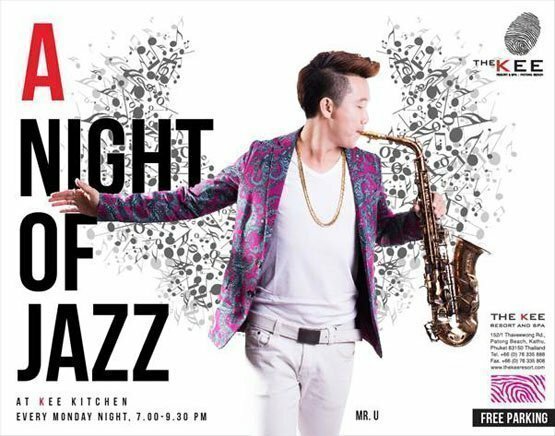 A night of Jazz at KEE Kitchen. Bring your night alive with Smooth Jazz Fusion in the heart of Patong. Taste the live solo saxophone with sipping some drinks and make some improvisations at KEE Kitchen, The KEE Resort & Spa. Perform every Monday night from 7.00 – 9.30 pm.